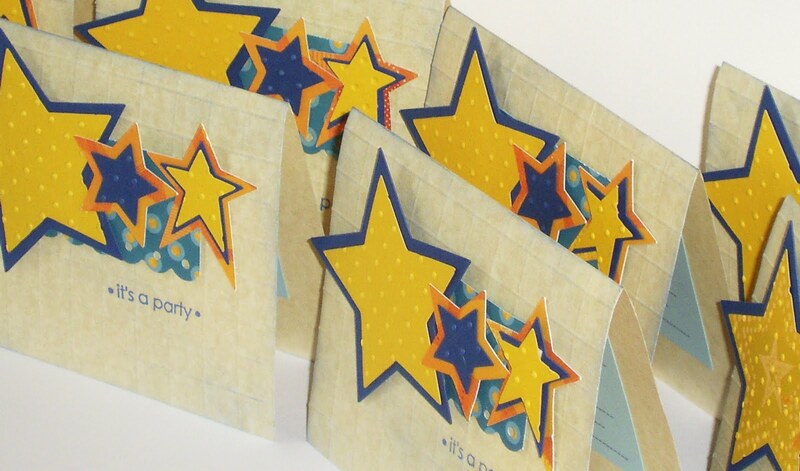 Inky Dream: Starry Party Invites. I hope everyone had a great weekend! We took the kids to African Lion's Safari yesterday. I wanted to share a pic of my son Adam and I on our first elephant ride! The boy in the front is my friend's son, then Adam, then me. It was great! I made 10 of these, with envelopes, for the coming bazaar, like usual! All bundled up and ready for November. I decided NOT to make a box this time. Just wrapped in ribbon for something different. Charisma Cardz Try Something New. Fairy Fun Friday Embossing. I just discovered this challenge. I didn't see any rule about using only their digi's, but if that's the case, let me know and I'll remove myself! 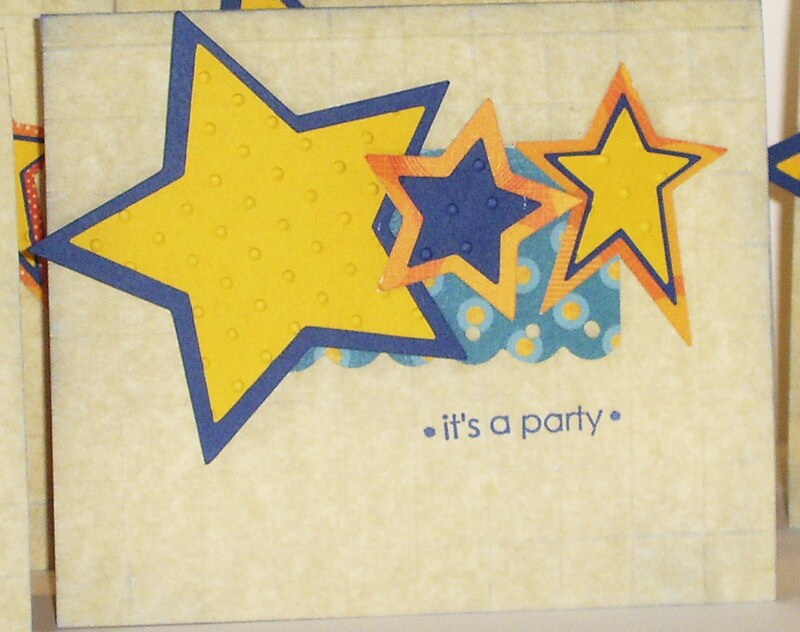 You made a bundle fantastic embossing cards, Farrah...you don't need to use our images to play along......thanks for joining FFF! Those invites are way cool! Looks like you had fun at the African Lion Safari. We haven't been there for a couple of years....if you ask my boys if they remember the last time they were there they'll giggle their way through the story about how the baboon peed on our van roof and it ran down the windshield....and that's the only thing they remember! Fabulous spots and stripes!!! Thanks for sharing with us at Stamp Something this week! Très belle carte et merci de te joindre à FFF Challenge cette semaine. 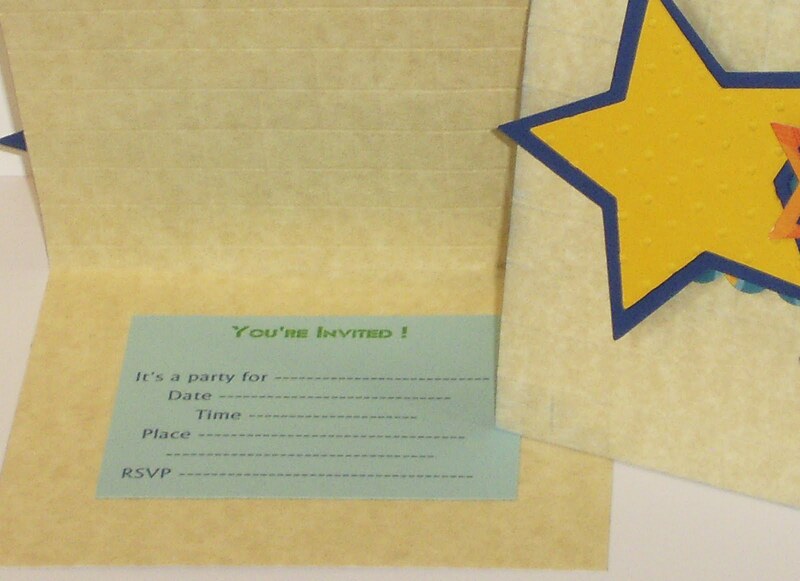 The invites are great - and you are all very brave sitting on the back of an elephant!!! What a fantastic idea. 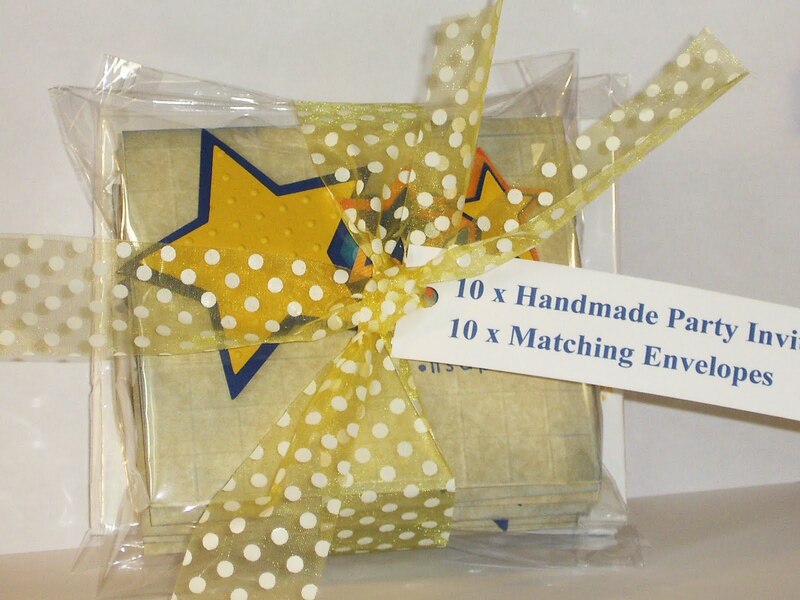 Gorgeous invites!